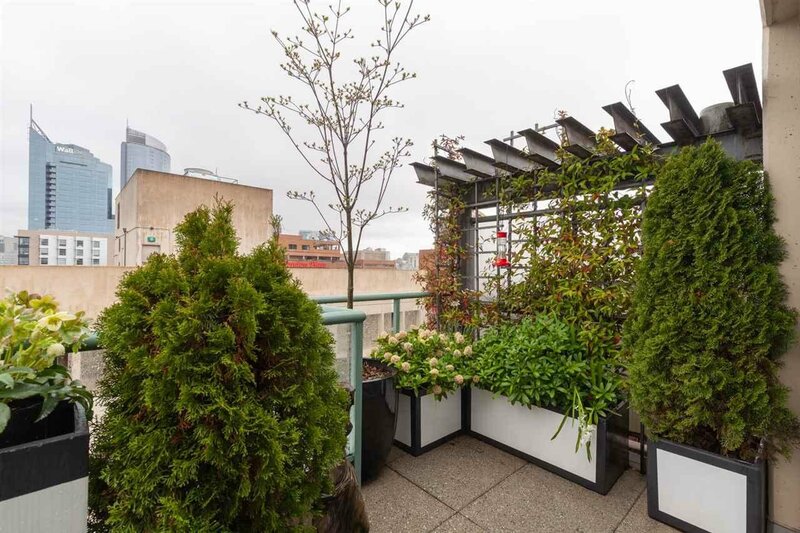 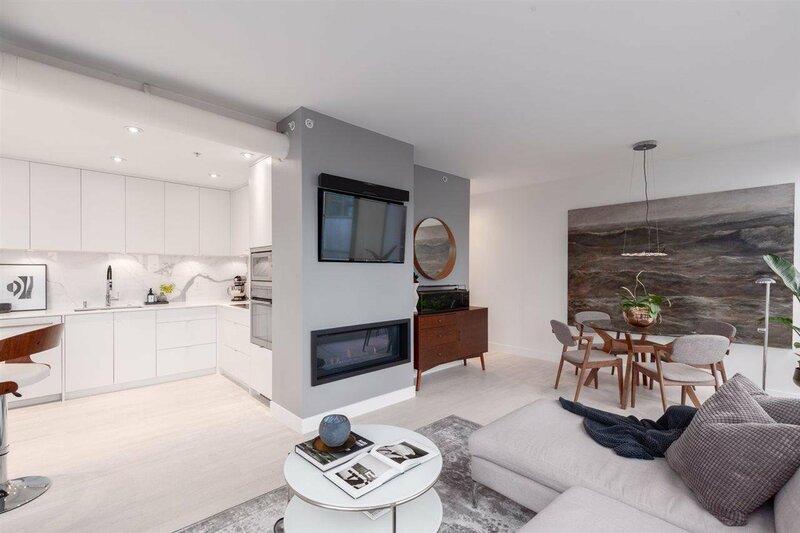 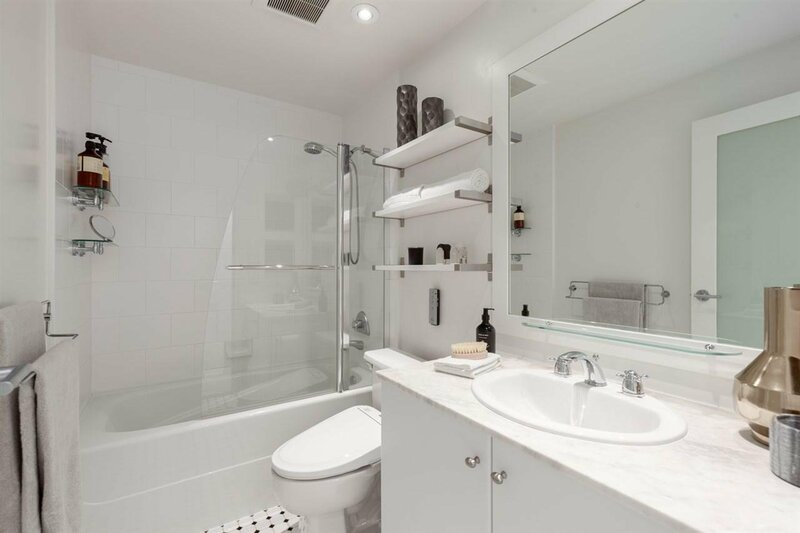 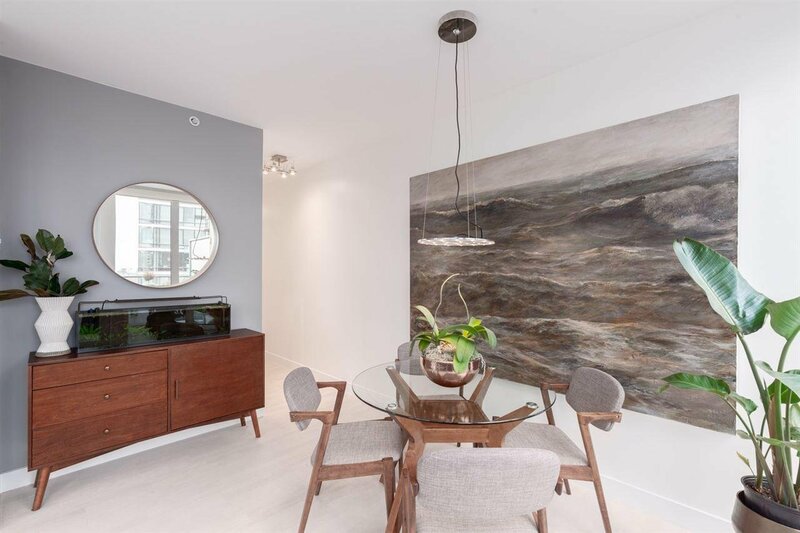 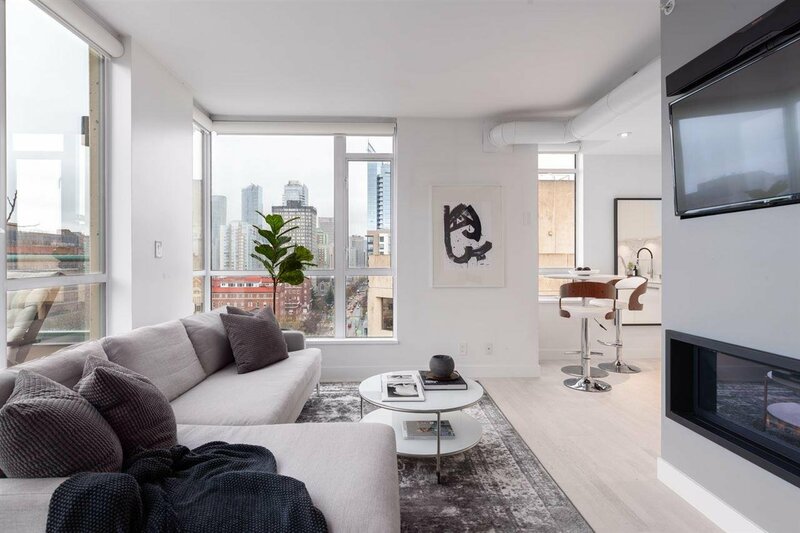 Welcome to this Penthouse residence at ‘The Altadena’, located centrally along the evolving Burrard corridor. 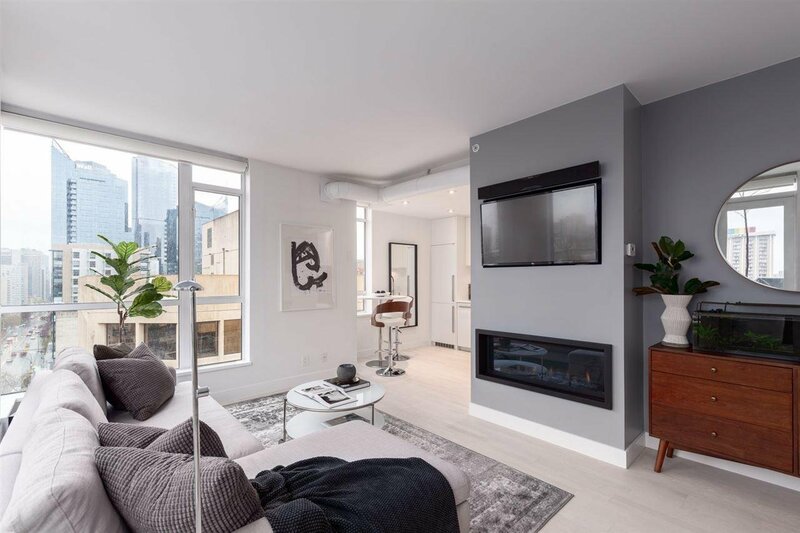 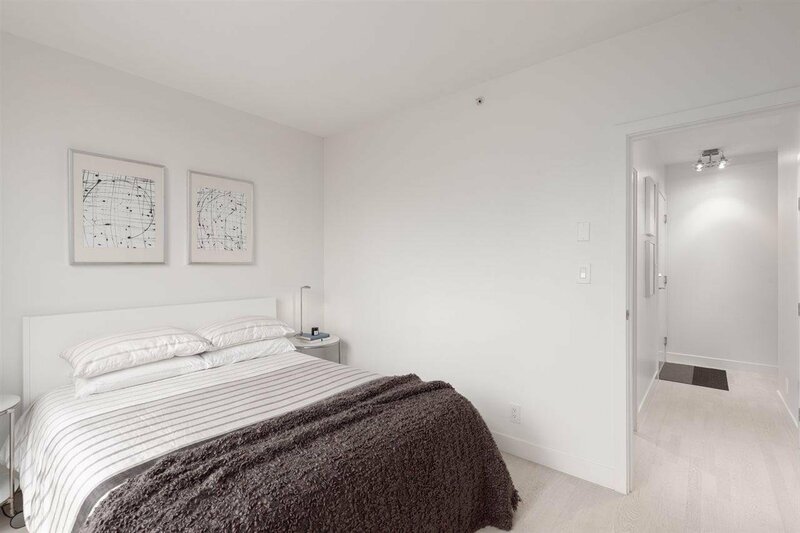 This home shines with its fully permitted renovation & includes white oak engineered flooring throughout, updated window trims, frosted glass doors, a linear gas fireplace, solar UV roller shades, & custom closet organizers. 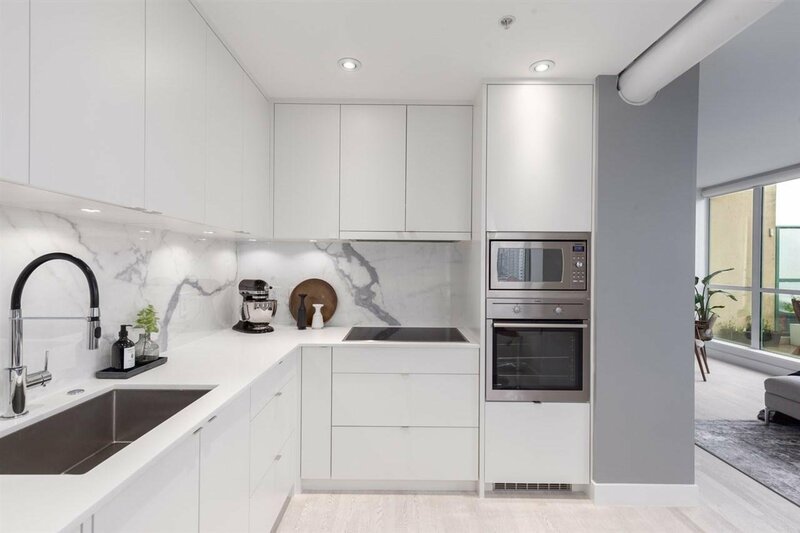 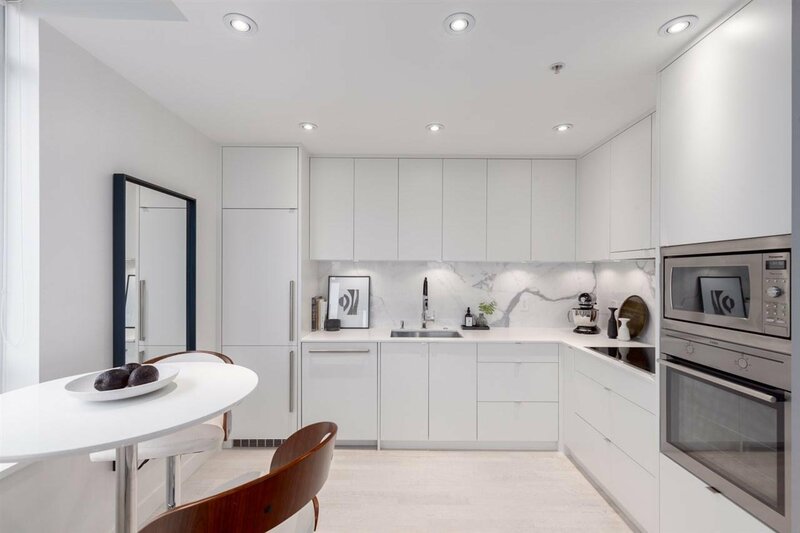 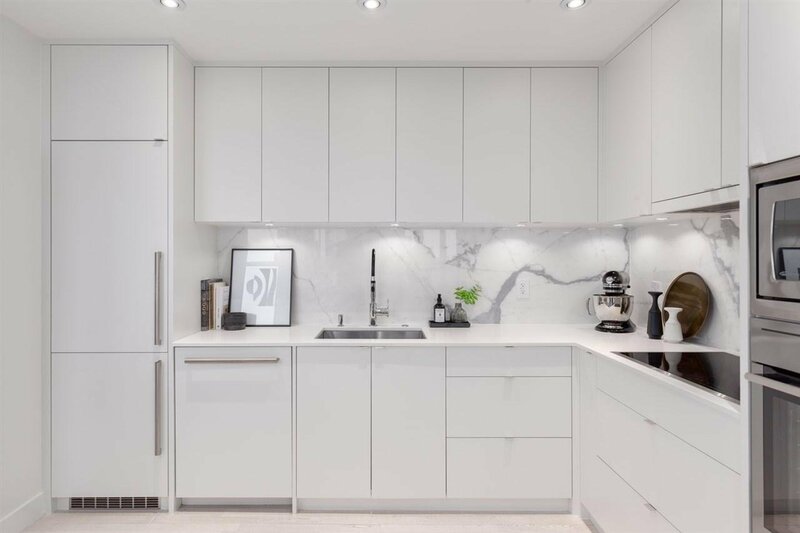 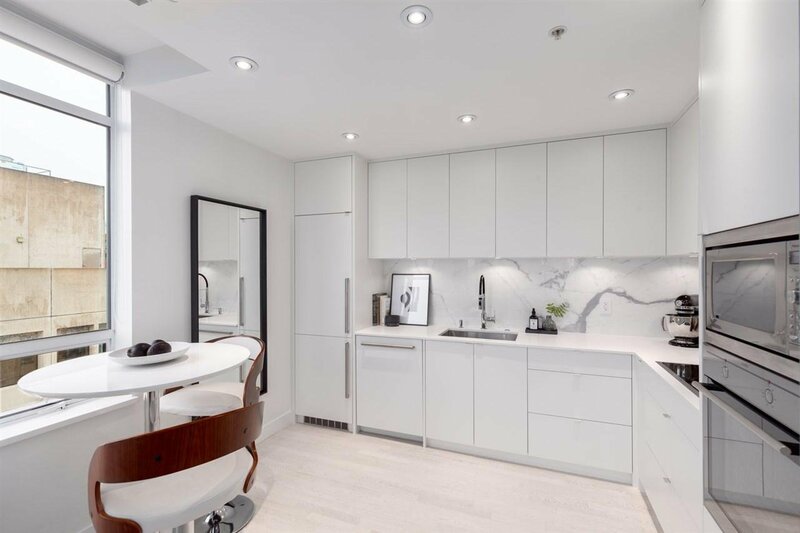 The sleek & contemporary kitchen is outfitted with custom flat white cabinetry, quarts countertops, a Blomberg integrated fridge, AEG electric cooktop & AEG wall oven. 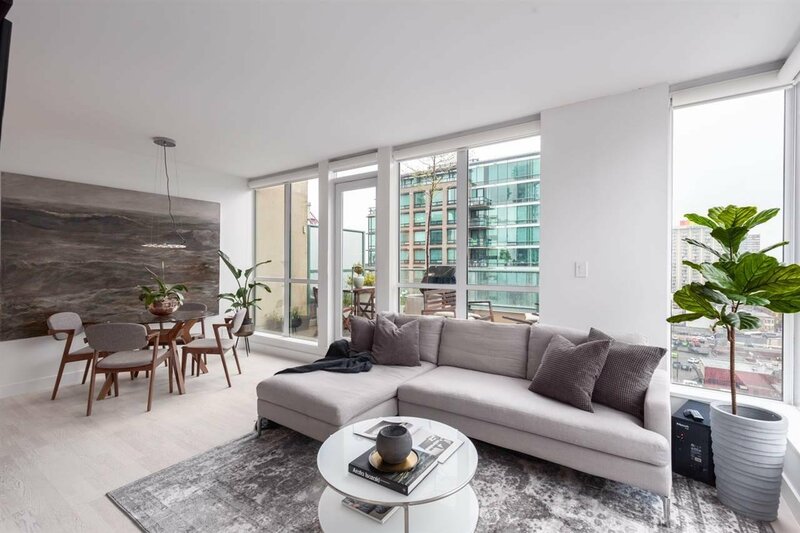 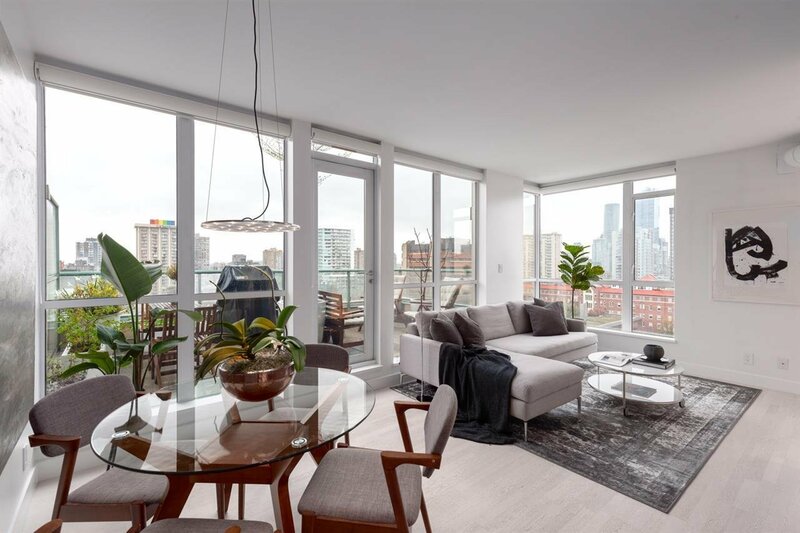 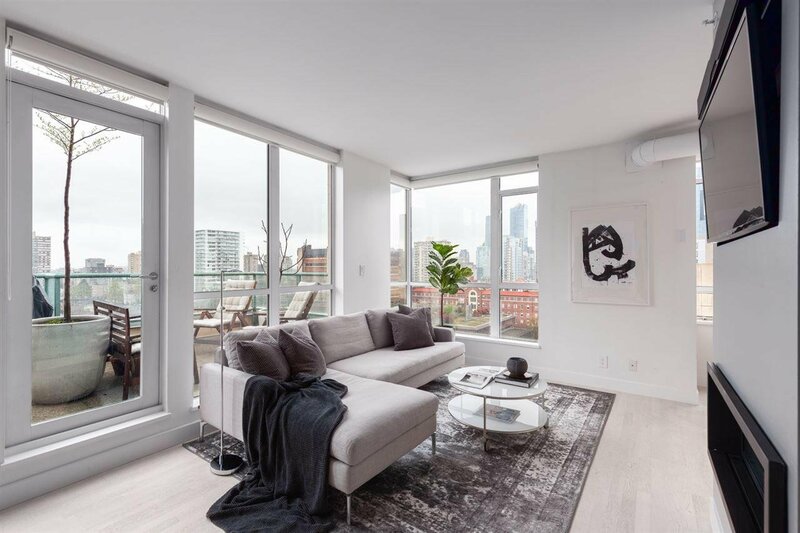 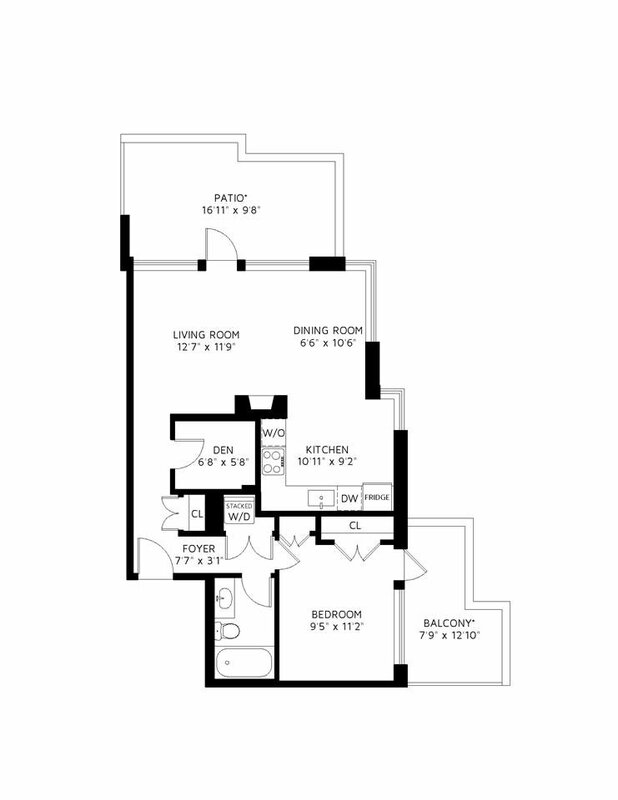 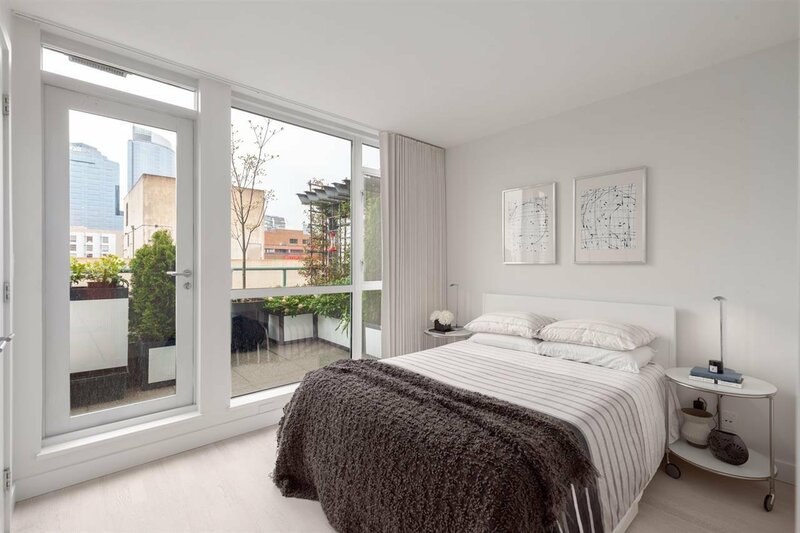 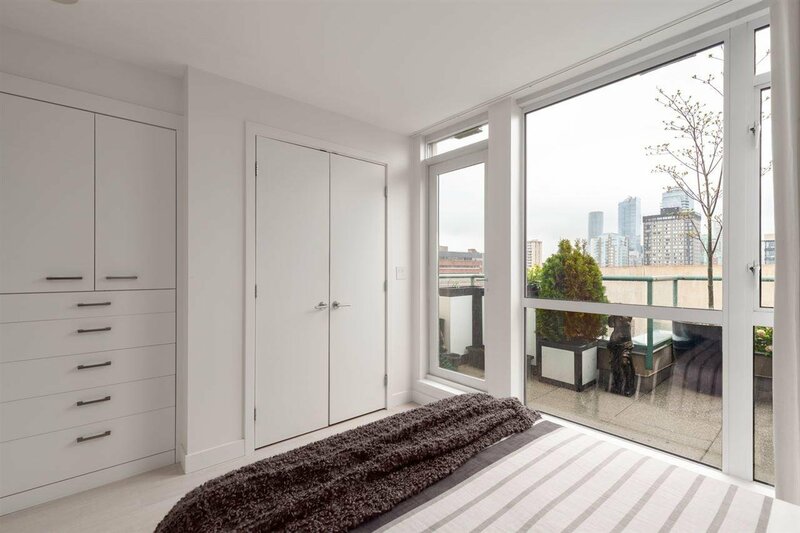 PH6 boasts TWO amazing terraces with North & West views - a 95 sqft private oasis off of your master suite & 169 sqft of additional living space off of the dining & living area. 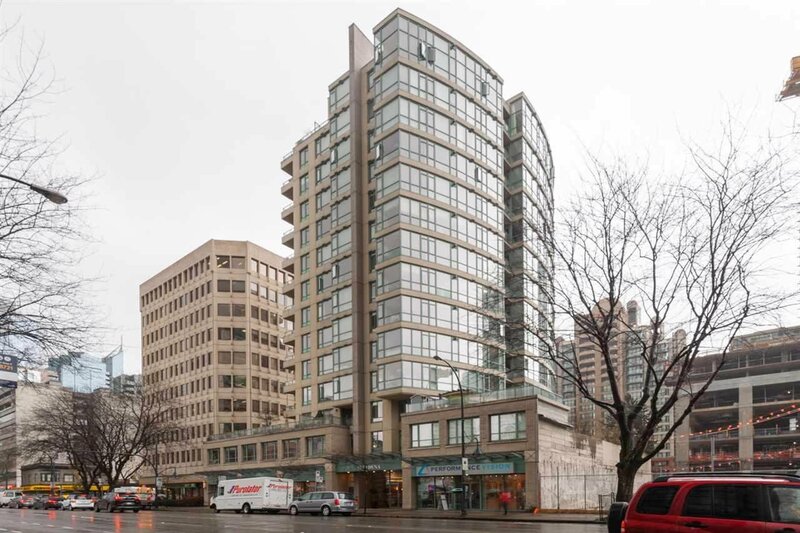 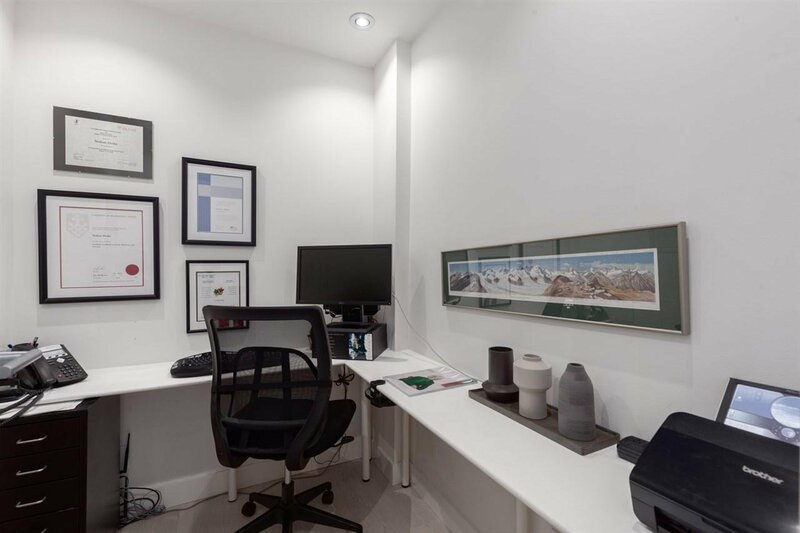 Building updated include an elegantly designed lobby, fitness centre, & was partially repiped. 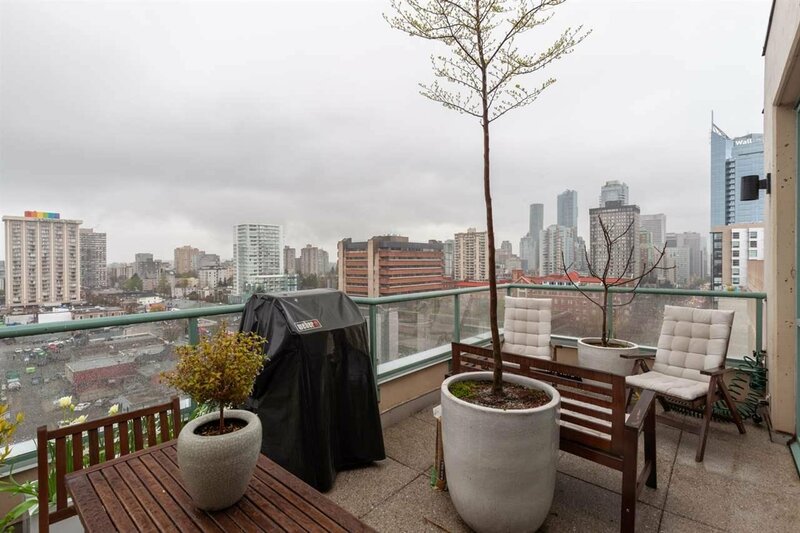 1 parking included #17.